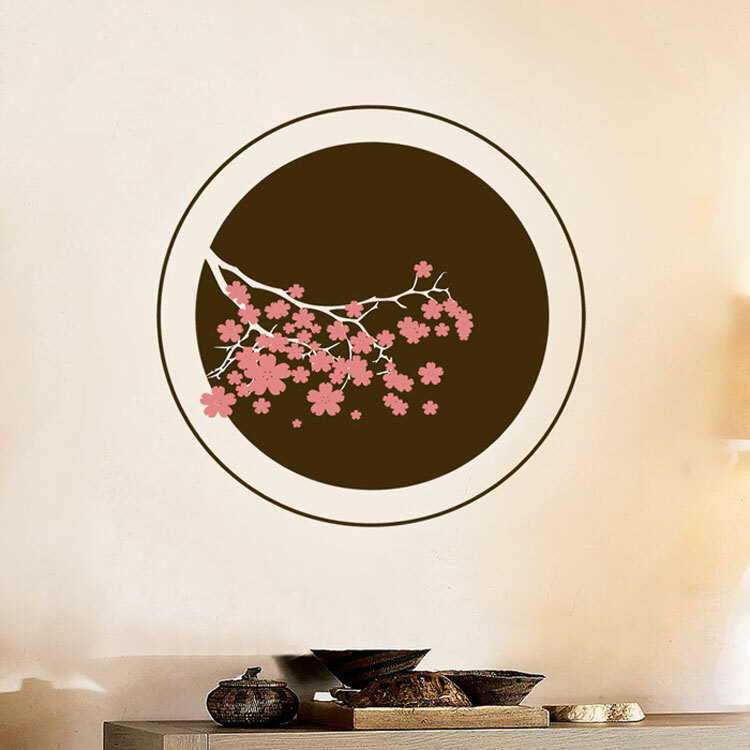 This cherry blossom wall decal is shown here with the circles in dark brown and the cherry blossom flowers in soft pink. You get to pick whichever two colors you prefer! This pretty circle cherry blossom wall decal measures 22" in diameter. Please let us know if you need different sizing, as pricing will vary. I wanted something to completely change my family room without the hassle of painting, wallpaper, etc. I found Dali online and bought some. WOW what a huge difference and it has turned my boring family room into a spectacular space. Thank you so much! Seller answered all my silly questions. They had very fast shipping & a GREAT Product! It looks amazing in my daughter\'s room. I order the 72 Bubble piece for my bedroom wall. The shipping was fast. I was so happy to see the UPS man at my house. I got right to work on them. The direction were simple. I had a blast taping the decals to the wall figure out where I wanted them to be placed. Once that was done I got to work. I was so happy when it was done. The colors matched me bedroom set perfect. I feel so much more comfortable and cozy in my bedroom now.